For all-frequency support on your radio deployments, Nortel offers a variety of base stations to bolster your network. Nortel base stations provide a variety of indoor and outdoor support to help meet the needs of growing GSM networks. The new and used Nortel base stations stocked by Worldwide Supply consist of the brand’s leading, proven options that provide significant capacity with low risk. S6000 — Support low-volume sites and boost your GSM networks with this outdoor model that’s perfect for entry-level voice and data delivery. S8000 — Deliver significant indoor or outdoor support with this two-DRX BTS, built with macrocellular voice and data in mind. 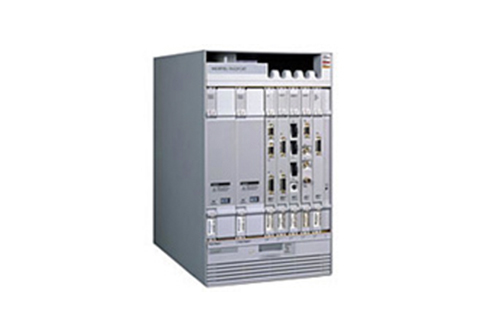 At home on railways, Worldwide Supply offers a variety of these as refurbished Nortel base stations to further increase cost efficiency. S12000 — This base transceiver station builds on the proven capabilities of the S8000 and supports 12 TRX per cabinet with customization options to support one to 12 TRX per cell. It offers a fully modular design to support a variety of quality voice and data services with high demands. S18000 — Secure some of the highest-capacity offerings in a greatly reduced footprint with the S18000. This model is among the top-capacity offerings for a dual-mode GSM/UMTS base station and can operate in single and dual modes. It supports up to 18 GSM radio units per cabinet, with more flexible deployments available. An added benefit is compatibility with BTS S8000 and S12000 units. Radio deployments can significantly boost your network availability and Worldwide Supply is here to help you build out the most cost-effective growth plan. Our used and refurbished Nortel base stations allow you to expand with tested, certified, fully reliable equipment and a significant warranty on every refurbished piece we sell.